How much does it cost to 'send a girl to school'? 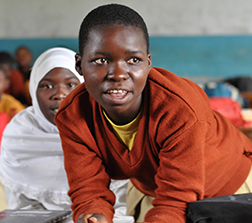 Each year of education creates tremendous benefits for girls in rural Africa. The cost of providing a year of education varies from country to country and according to such factors as the student’s grade level and whether she can live at home or must attend a boarding school. - $240/£180 supports a girl through secondary (middle and high) school for a year. Her bursary (scholarship) package includes school fees, uniform, books, shoes, school supplies, sanitary supplies, and boarding expenses if required. How are the girls who receive support selected? Making sure that students are selected based upon need and using an open process is an important way we put our core principle of accountability into action. Transparency is essential, so the selection of students for bursary (scholarship) support is carried out with intensive community consultation. Typically, an inclusive group that includes parents, teachers, students and community members (School Based Committees) identify the most financially disadvantaged children in their communities. These children are often orphans. Their selection is double-checked by members of a separate, district level group, (Camfed initiated Community Development Committees) who typically visit each family or care provider of selected students to verity their need. Camfed’s selection process has been commended by independent evaluators and by the governments of countries in which we work. Do you invest in boys’ education as well? Although our programs are directed primarily at reducing the gap between girls and boys in their school enrolment and their completion of primary and secondary school, many of our programs reach boys. At the primary school level, where families do not pay school fees, Camfed’s Safety Net Fund program benefits both boys and girls. 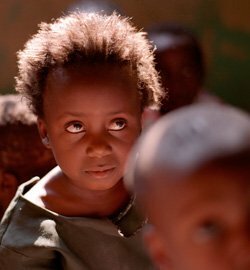 Grants are given to school committees who can use them to help children remain in school by providing them with shoes, uniforms, books or food. Our grants can also be used for learning resources, such as text books that benefit entire classes and schools. Our secondary school bursary program primarily targets girls, but in some countries and districts we do provide scholarships to boys when they are among the most vulnerable. All children attending Camfed partner schools benefit from Camfed’s training and support of teachers, school staff and education authorities. Beyond our partners schools, thousands more children are benefiting from Camfed’s practical advocacy for child protection laws and guidelines. In which countries does Camfed operate? Camfed operates in Ghana, Malawi, Tanzania, Zambia and Zimbabwe. Does Camfed have plans to expand to other countries? Expansion of Camfed’s programming is dependent on a number of factors. We begin our work with an invitation from a country’s national government. Then we establish reciprocal partnerships backed by a Memorandum of Understanding. 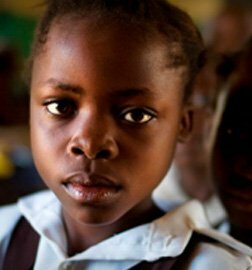 Decisions about where to work within a country are based upon the recommendations of national and district government officials, taking into consideration data that reveals where school enrollment rates, particularly for girls, are low and poverty levels are most acute. I would like to fundraise for Camfed. Where do I get started? How do I set up a personal fundraising page? Follow the link https://camfed.org/get-involved/start-fundraising/ to create your own personal fundraising page which you can share with friends and family to garner support for your fundraising efforts. 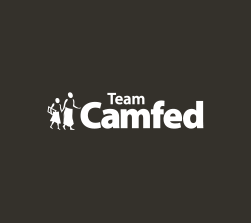 Top tip: to motivate your supporters to get behind your fundraising efforts, include as much details as possible in the Start Fundraising form about why you’re fundraising for Camfed, what your challenge or fundraising event is and a picture of yourself. If you would prefer to use a photo from our library, you can do so by choosing and uploading a picture. I’m organising an event – can I request resources? I would like to make a donation to honor a friend or family member. How can I do this? If you do not wish to send an ecard (email) notifying the recipient about the gift, enter your own email address as the recipient address and you will be sent a copy to print or keep. Alternately, you may mail your donation as a check with a note that includes the name and address of your honoree. We will notify them of your gift via mail. Can I make a donation to support a specific country or program? - Include a note with your check donation specifying the country or program to which you would like the funds to go. We are always happy to answer any questions about how we ensure that your funds reach the programs and/or countries you specify. I wish to donate via check, how do I make it out and where do I send it? An acknowledgment, including tax substantiation, will be sent to you upon receipt of your donation. How do I pay in funds I’ve raised from a fundraising event or collection? You have two options to pay in money you have raised through collections at a fundraising event. - You can pay funds collected into your bank account and then donate a lump amount using the Donate link on our home page or through sending a cheque. - You can send in cash or cheque donations from individual supporters of your event. This is especially useful if you have used a Donation Form (resource hub link) and the donations collected are eligible for gift aid. For us to claim Gift Aid on eligible gifts we need the full name of the donor and their address and postcode. How can I update my credit card/address information? Please email contact@camfed.org for further instructions. Please note that you will be asked to confirm your information for security purposes. Camfed considers the security of your personal and payment information the highest priority. Yes, we gratefully accept donations of stock. In order to make a donation of stock please contact contact@camfed.org and we will send you comprehensive instructions. Do you accept donations of books, school supplies, clothes or other materials? While we appreciate offers to support Camfed partner schools with supplies, we are unable to accept these kinds of gifts. Camfed avoids overhead and administrative costs associated with shipping donated goods or associated with centralized procurement, warehousing and transport. Instead, we provide cash transfers directly to partner schools so that they can buy the supplies they need. This policy also helps us support local businesses in Africa that sell school supplies, uniforms, and books. For example, some members of CAMA, Camfed’s alumnae network, have started businesses making uniforms for schools in their districts. Is it possible to donate regularly by direct debit? Camfed does not currently have a system in place to accept Direct Debits, as there is a significant associated set-up cost. However, donating by standing order in the UK ensures that 100% of your donation reaches Camfed, so that we are able to use your gift to support the maximum number of vulnerable girls to go to school. To set up a standing order, please contact our UK office at contact@camfed.org. What is Camfed’s full tax identification? In the US, our full tax identification is: Camfed USA Foundation. What is Camfed’s FEIN/EIN number? Our EIN number is 542033897. For online donations, the acknowledgement you receive via email serves as your receipt for tax purposes. For donations made by other means, the donation acknowledgement mailed to you serves as your receipt. To request a duplicate receipt please contact donations@camfed.org. Does Camfed share my information?